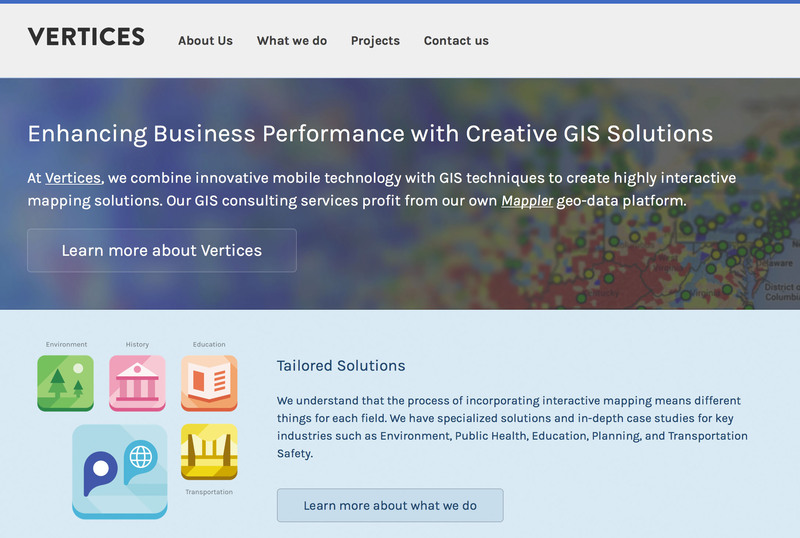 Innovative Mobile GIS Solutions by VERTICES, LLC. 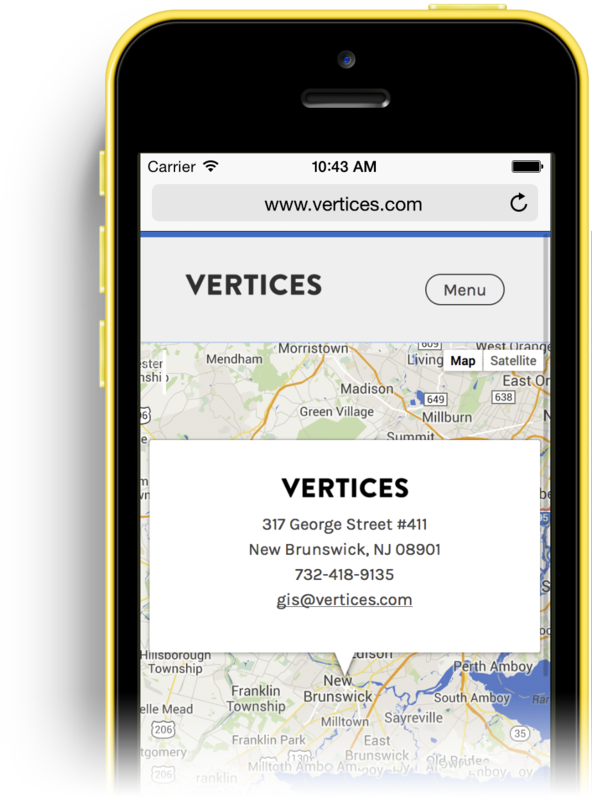 At VERTICES, we provide innovative mobile GIS solutions and consulting services using our own Mappler platforms. To learn more about our services and case studies in key fields such as Community Engagement, Planning, Public Health, and Emergency Preparedness, please visit us at vertices.com either on desktop or on your mobile device.